Last month I took part in a week-long road trip crashing RedBars all along the East Coast with Chase Fancher of Oak & Oscar and Justin Vrakas of watchsteez. The Sandford Tour, as it became known, was a huge success businesswise: shortly after returning to Chicago all 100 limited edition PVD versions of the Oak & Oscar Sandford were sold out! But the mini-vacay also brought the three of us closer together, which you'd expect after sharing a bathroom in cramped hotel rooms... But in all seriousness, spending morning, noon and night with these two, I got to see a side of Chase and Justin I know exists, but I rarely get to witness in full force. It was pretty cool seeing these two in action: Chase in all-out entrepreneur mode and Justin doing what he does best - procuring top-shelf vintage watches. Late Tuesday evening, after RedBar DC wrapped up, Justin and I decided to throw back a few more brewskis before we called it a night (Chase had already made a beeline to our hotel - we had a crack of dawn Amtrak to catch to New York). After we closed our tab, we did what every able-bodied city-goer does... we summoned an Uber to get home. I was so high on watches I actually started talking up our Uber driver about his watch - a battery-powered Seiko. Next thing I know he blurts out, "I also have the Moonwatch with a black dial and a tachymetre bezel." Hearing these magic words, Justin and I sobered up real quick. Then I found myself asking, "Would you consider selling it?" He actually wasn't opposed to the idea. 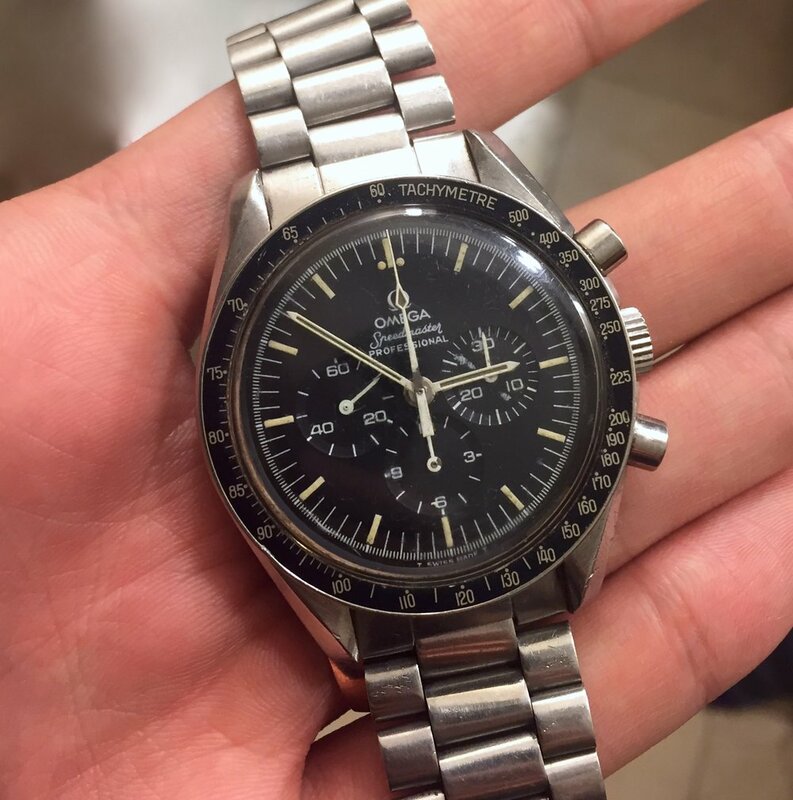 This seemed like a golden opportunity for Justin to acquire an original-owner Speedmaster. 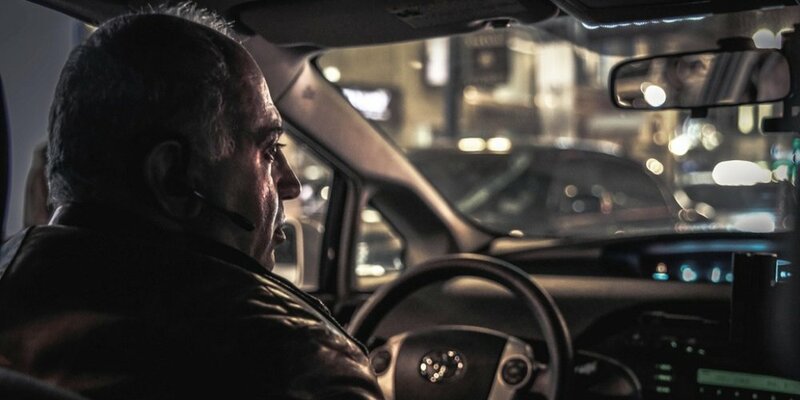 As he drove us into the night, I kept glancing at the digital clock glowing from the center console. It was well past midnight, but we didn't feel tired - we were caught up in the thrill of the hunt. We kept the conversation going to continue gathering intel and build rapport. All the while Justin and I were watching exits zoom past us as we headed deeper and deeper into what seemed like the boonies. Street lamps were few and far between - we had absolutely no clue as to our final destination... We were just praying it wasn't an abandoned parking lot or pitch-black, dirt side road. Next thing we know our Uber driver says, "Okay guys, we're almost there..." Then the UberXL pulled into a Cul-de-sac. This was the moment of truth. What Speedy would emerge? He ran into his house to grab it while Justin and I waited anxiously outside... When he returned, we all got back into the SUV and he proceeded to unzip a bank deposit bag, proudly revealing his original Speedy to us. "Here it is, the real thing," he asserted. Justin's first glance with his expert eye under the truck's dome light: the trip wasn't made in vain. It appeared to be a Ref. 145.022 Speedy, with honest wear and a strong case. The next order of business was finding a public place that offered him more light to inspect it. Justin wasn't about to purchase until he submitted it to his rigorous checklist. We ended up at a McDonald's around 2 a.m. and while I ordered us all coffee, Justin got down to business. When I returned to the table, he was unscrewing the caseback with a yellow friction ball. I sipped on my coffee as I watched Justin put on his dealer hat, which included attaching an olloclip to his iPhone to loupe the Cal. 861 movement. After about 30 minutes of scrutinizing the movement, crown, crystal, dial and case, Justin was satisfied and made an offer. But our Uber driver was getting cold feet - this watch held some sentimental value... In the end Justin made him feel comfortable with the deal, and he let it go. For those of you wondering, this Speedmaster was recently SOLD. But Justin has other sick watches for sale. Check out watchsteez.com or Justin's Instagram accounts @justinvrakas and @watchsteez to see his latest inventory.